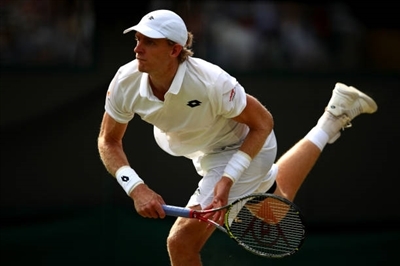 →Why Kevin Anderson Is One of the Best Tennis Players in the World? Kevin Anderson is a South African tennis player, currently ranked as #5 in the world. At the moment, he is the most successful South African tennis player and the only one to reach Top 5 rankings since Kevin Curren in 1985. Kevin Anderson was born on May 18, 1986, in Johannesburg, South Africa. He started to play tennis when he was 6 years old. He played college tennis at the University of Illinois at Urbana-Champaign and was 3-time All-American in singles as well as 2-time All-American in doubles. In 2005-2006, Kevin was the winner of the national doubles championships, partnering with Ryan Rowe. At 17, Anderson turned professional. In 2007, he gained his first singles and doubles titles at the Challenger in New Orleans. In 2008, he reached his first ATP final at Tennis Channel Open. The same year, Kevin marked his first win over a top 10 player, Novak Djokovic, at the Sony Ericsson Open. In 2009, the tennis player was a winner of Sanremo Challenger. In 2010, he was a semifinalist at Atlanta Tennis Championships as well as won his first Grand Slam match at the US Open. In 2011, Kevin Anderson won his first ATP title at the SA Open. He also reached quarterfinals at the Sony Ericsson Open and Atlanta Tennis Championships. In 2012, he claimed his second ATP title in Delray Beach. In 2013, the athlete reached the finals at the Sydney International and Atlanta Tennis Championships, quarterfinals at the Indian Wells Masters. The following year, he managed to get to finals at Delray Beach and Mexican Open, quarterfinals at the Indian Wells Masters, Aegon Championships and Paris Masters. In 2015, Anderson was the champion of the ATP 250 in Winston-Salem. He advanced to his first Grand Slam quarterfinal at the US Open. Moreover, he reached the final at the Memphis Open, quarterfinals at the Shanghai Masters and Vienna Open. In 2016, the South African reached quarterfinals at ASB Classic, Aegon Open Nottingham and Rogers Cup. In 2017, he got to his first Grand Slam final at the US Open. Also, Kevin was at the final at the Citi Open, semifinals at the US Men’s Clay Court Championships and Millennium Estoril Open, quarterfinals at the Geneva Open and Canadian Open. 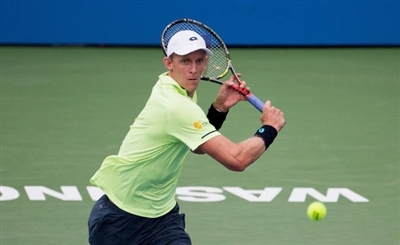 2018 was the best season in Kevin Anderson’s career. He won the New York Open, was a finalist at the Maharashtra Open and Mexican Open, quarterfinalist at the Miami Open and Indian Wells Masters. But his major achievement was the final of 2018 Wimbledon. He became the first South African man to reach the Wimbledon singles final since Kevin Curren in 1985. Though he was defeated by Novak Djokovic in the final, the athlete rose to #5 position in the ATP ranking.